A.D. 102. Two men are locked in an eternal battle with destiny. One is a fugitive, driven mad by the deeds of his past. Haunted by a demonic force that has tortured him for more than half-a century, he fights to retain his sanity long enough to separate himself from civilization. The other is Jack Sigler, callsign: King, a former Delta operator torn from the present and hurled into the pages of history. King must endure the long journey through the ages to be reunited with his loved ones in the world he knows. The final book of the series. Despite being a novella length, this throws all of Robinson’s monsters at Sigler in an attempt to bring him down. Of course we know he will survive to participate in the first ten novels. An over-the-top hyped up end to the Sigler series. 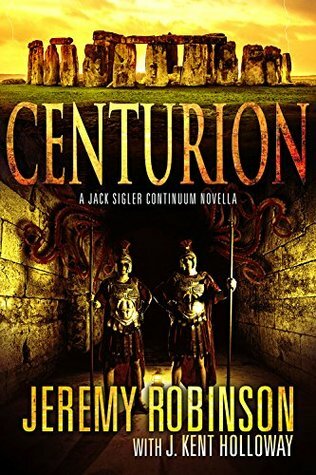 This is almost a medieval setting, I wonder if Jeremy Robinson will try epic fantasy next !